While implementing various validation rules in ADF BC, we can call two methods to get number of rows for specific entity - getFetchedRowCount() and getRowCount(). What's the difference between these two and what you should keep in mind? In case if Master-Detail screen is separated into two pages or two fragments - detail entity will be populated and data will be fetched only after this entity will be directly accessed. 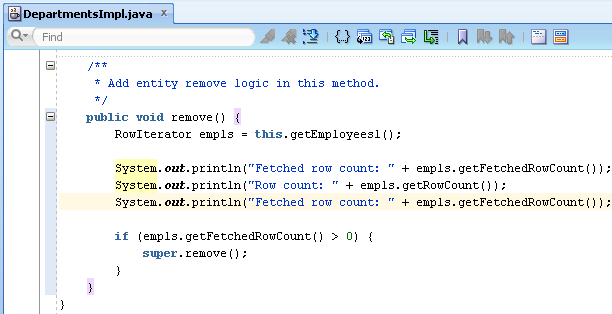 This means that getFetchedRowCount() returns count for rows already loaded into memory. In contrary, getRowCount() loads rows into memory (if there are no rows loaded) and then returns row count. Both of these methods are good and useful in specific use cases. ADF developer should understand the difference to avoid unexpected behavior. 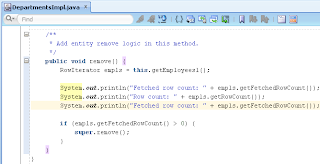 After getRowCount(), again is executed getFetchedRowCount() method. Hopefully this helps to understand better specific difference between two methods for row count. Counts the total number of rows in this row set. 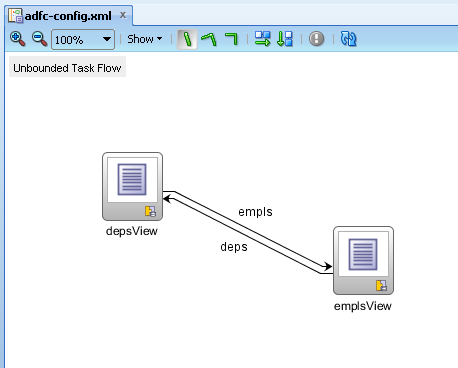 This method retrieves all rows from the View Object by executing the View Object's query and then calling next() until the last row is retrieved. Thus, since it iterates through the View Object one record at a time, this method may be slow. 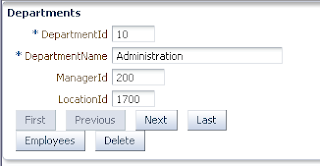 If you are working with a large number of rows, or if your application demands a fast response, use getEstimatedRowCount to obtain a quicker count. Yes of course, but it all depends on use case requirements. Sometimes developers need to compare against total number of rows and not to check just if at least one row exists. This sample is created to highlight getFetchedRowCount method, to get number of rows you are free to use any of the methods.